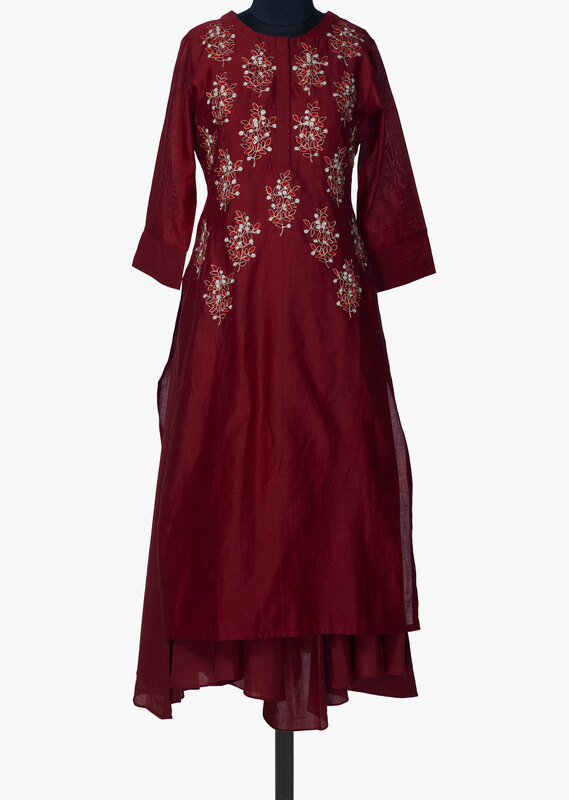 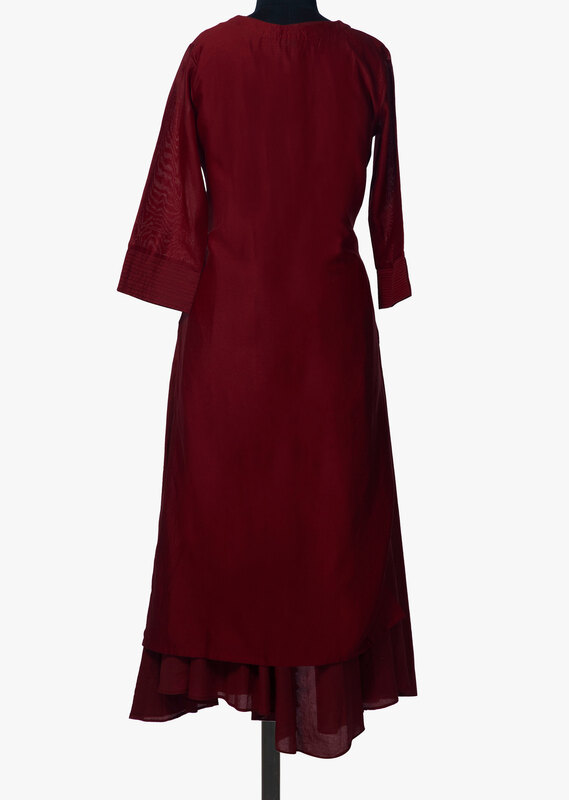 Maroon kurti features in cotton. 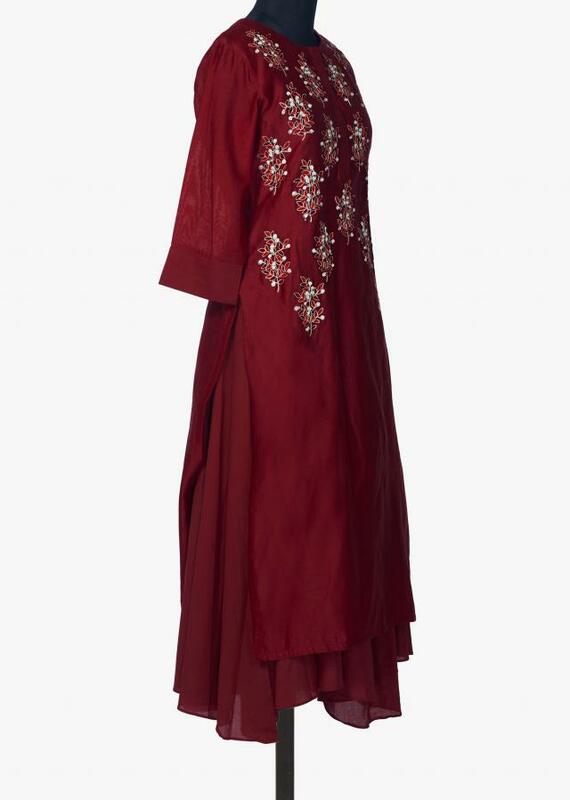 Bodice is embellished in resham and aari embroidery. 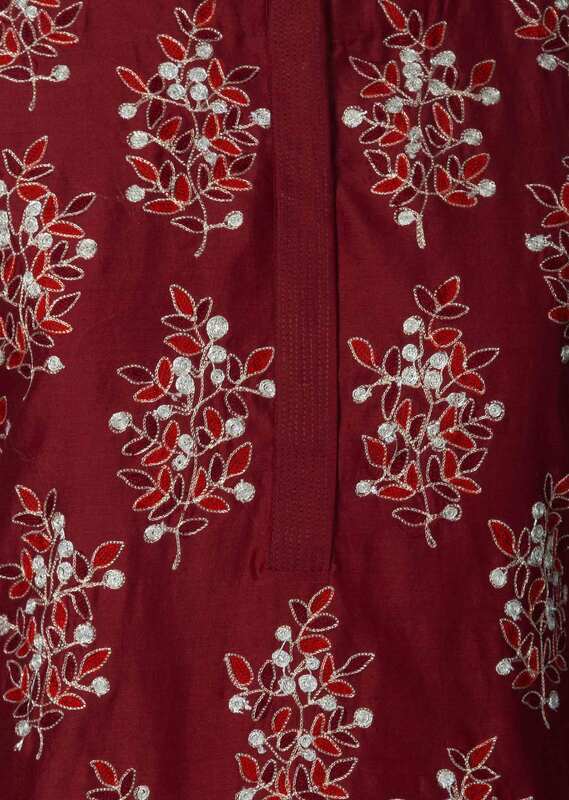 It comes with long under layer in cotton.